Cold store Lau van Haren loads their containers in a fast way without any damage with three RollerForks®. Because there is no more expensive manual work and no packaging, the palletless system easily pays back the costs in only half a year. It is cold in the cold storage depot at Lau van Haren Logistics & Coldstores BV in Weurt. There is a maximum temperature of only two degrees at the forwarding department and that can be rather chilly when you stay there for a long time. It can also be worse; behind the isolated sliding doors there is a constant minimum temperature of minus twenty degrees. In the special freezers temperatures drop to minus thirty-two degrees. A single unit a week was no problem for Van Haren, it could be done manually. In 2002, a new client who supplied Van Haren with tons of extra containers a week made them choose for another solution. Seeing that pallets were overturned to remove the airflow spacers, Van Haren came up with a solution for loading and unloading of containers without the use of pallets. 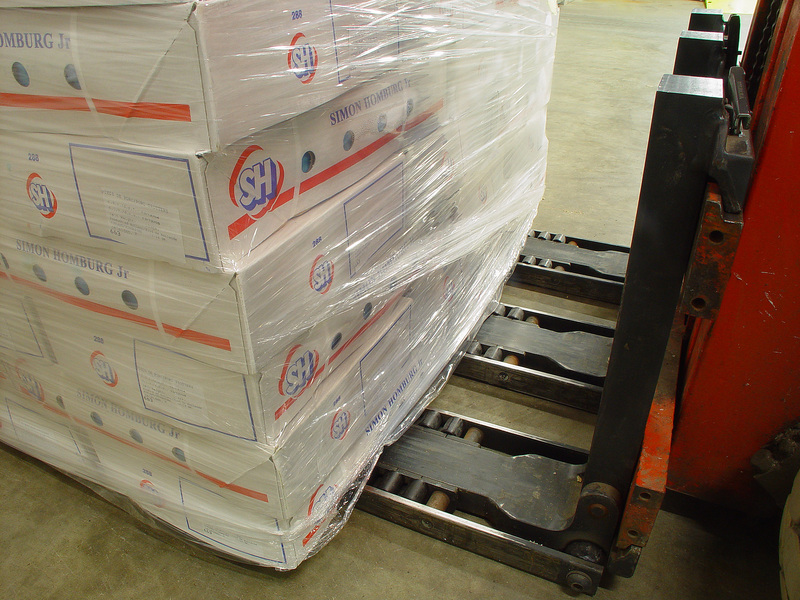 By replacing the artificial slaughterhouse pallet for a pallet with a couple of extra supporting laths it would be possible to place the boxes directly on the forks. An extra third arm in the middle could support a load. Now the only problem was how to remove the boxes from the forks. If necessary the lift truck drivers can also pick up a load directly from the stationary pallet inverter device when a load has been turned over. The base of the tipping device is also equipped with extra laths so that the RollerForks® also fit. Partly because of this direct possibility and the high handling speed of containers the amount of a hundred special pallets is more than enough. Lau van Haren from Nijmegen started a transport business specialised in national and international meat transport in 1929. In 1978 van Haren built its first storage freezers between Nijmegen en Weurt. Given the increasing demand storage was expanded in 1993, 2001 and 2003 up to a total of 5000 pallet locations. 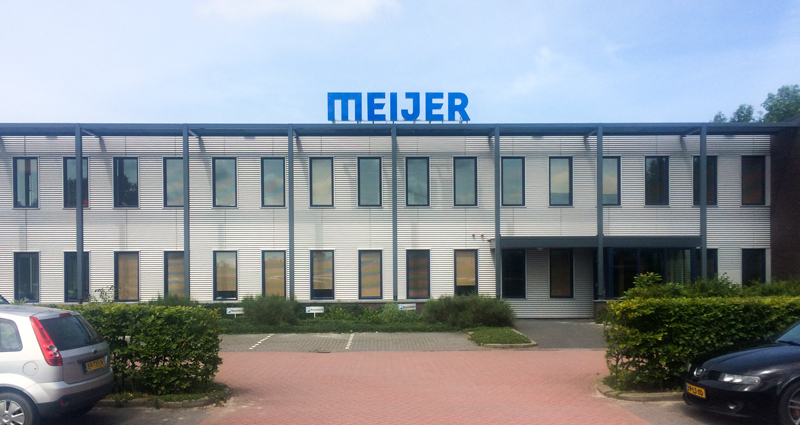 In the present building in Weurt the company has got different storage systems like the conventional pallet racks, drive-in racks and mobile racks. Wieck van Haren, present manager, is the third generation that leads the family company. The company specialises in packing, freezing, cold storage and logistics. Others do distribution and transport.